Naza and Automobiles Peugeot signed an agreement today to produce a locally manufactured and branded version of the Peugeot 206 car for local and regional export markets. 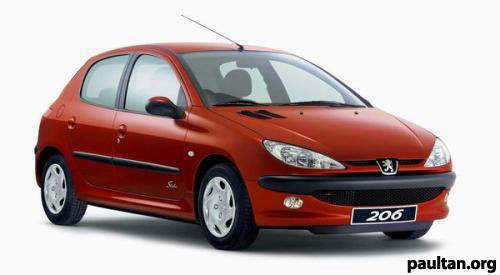 Naza will be manufacturing a Peugeot 206 branded under the Naza brand, and it will come with a 1.4 litre engine. This car will be manufactured at Naza’s assembly plant in Gurun, Kedah and may shift to Naza’s 2nd plant in Penang in 2007. Target export markets for the Naza-branded Peugeot 206 1.4 litre are Thailand and Indonesia. Cycle and Carriage Automobiles will be providing the after-sales service in Malaysia.